You can create an online writing portfolio in just a matter of hours – really! And, start landing freelance writing jobs – online and off -- almost immediately. How do I know? Well, because I’ve done it! This is a step-by-step guide that shows you how. 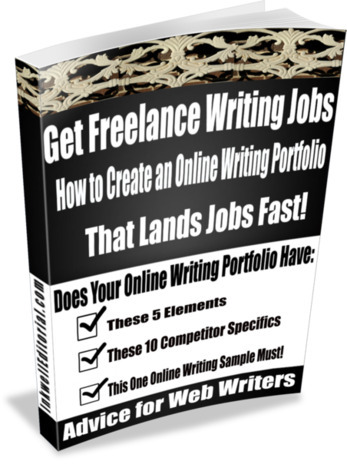 This ebook is a step-by-step guide that shows you exactly what you need to do to put together an online writing portfolio that will impress clients – and start landing you freelance writing jobs quicker than if you didn’t follow these guidelines.